This CDD strives to ensure that its services are accessible to people with disabilities. Our CDD has invested a significant amount of resources to help ensure that its website is made easier to use and more accessible for people with disabilities, with the strong belief that every person has the right to live with dignity, equality, comfort and independence. This website has been renovated to ensure accessibility by any disabled individual. If you have questions regarding WCAG 2.x, Level AA standards and ADA Compliance OR If you use assistive technology (such as a Braille reader, a screen reader, or TTY) and the format of any material on this website interferes with your ability to access information, please contact District Manager listed on the main site. To enable us to respond in a manner most helpful to you, please indicate the nature of your accessibility problem, the preferred format in which to receive the material, the web address of the requested material, and your contact information. Users who need accessibility assistance can also contact us by phone through the Federal Information Relay Service at 1-800-877-8339 for TTY/Voice communication. Our CDD makes available the UserWay Website Accessibility Widget that is powered by a dedicated accessibility server. 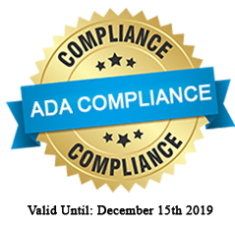 The software allows CDD to improve its compliance with the Web Content Accessibility Guidelines (WCAG 2.x). The CDD accessibility menu can be enabled by clicking the accessibility menu icon that appears on the corner of the page. After triggering the accessibility menu, please wait a moment for the accessibility menu to load in its entirety. Our CDD continues its efforts to constantly improve the accessibility of its site and services in the belief that it is our collective moral obligation to allow seamless, accessible and unhindered use also for those of us with disabilities. Despite our efforts to make all pages and content on CDD fully accessible, some content may not have yet been fully adapted to the strictest accessibility standards. This may be a result of not having found or identified the most appropriate technological solution. If you are experiencing difficulty with any content on CDD or require assistance with any part of our site, please contact us during normal business hours as detailed below and we will be happy to assist. If you wish to report an accessibility issue, have any questions or need assistance, please contact CDD Support / managers listed under contact us page.